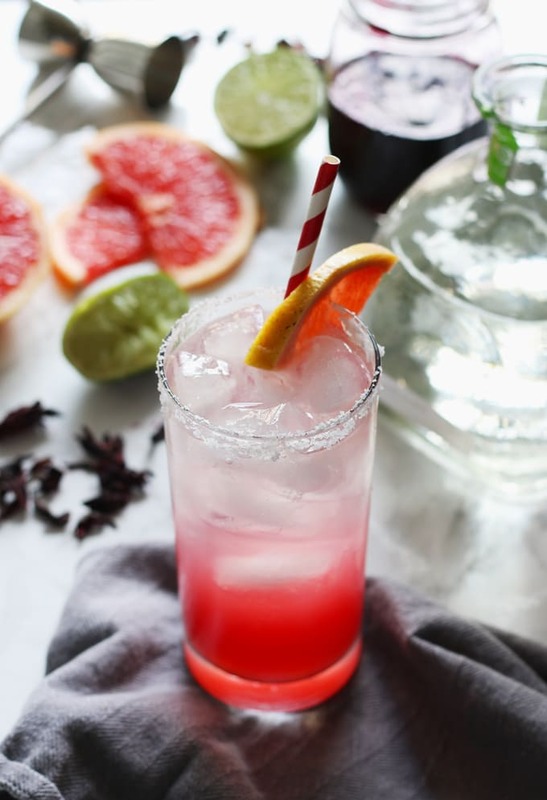 This hibiscus paloma is a refreshing cocktail recipe; the tart grapefruit and lime juices are well complemented by the sweet and floral hibiscus simple syrup. 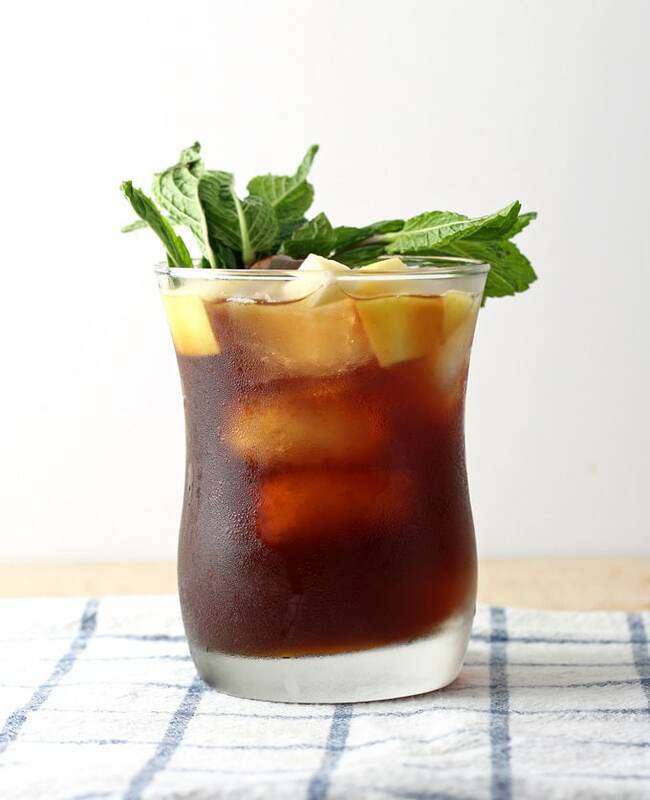 Break out that bottle of tequila and mix up a batch of these delicious drinks today! 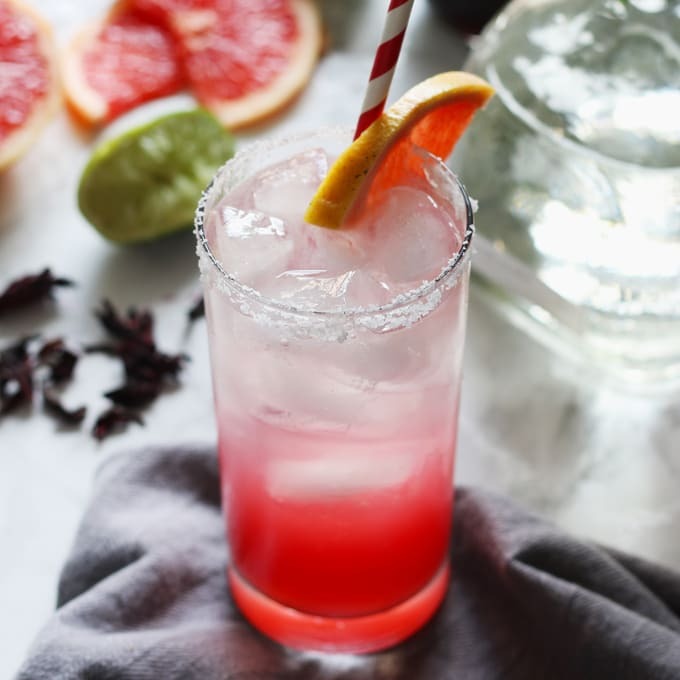 Earlier this month, I made grapefruit hibiscus margaritas and I have about 10 gallons of hibiscus simple syrup and a pitcher of grapefruit juice leftover. Okay…. those amounts are grossly exaggerated. But I did amass leftovers and I decided to turn them into my second favorite tequila based drink – the paloma. 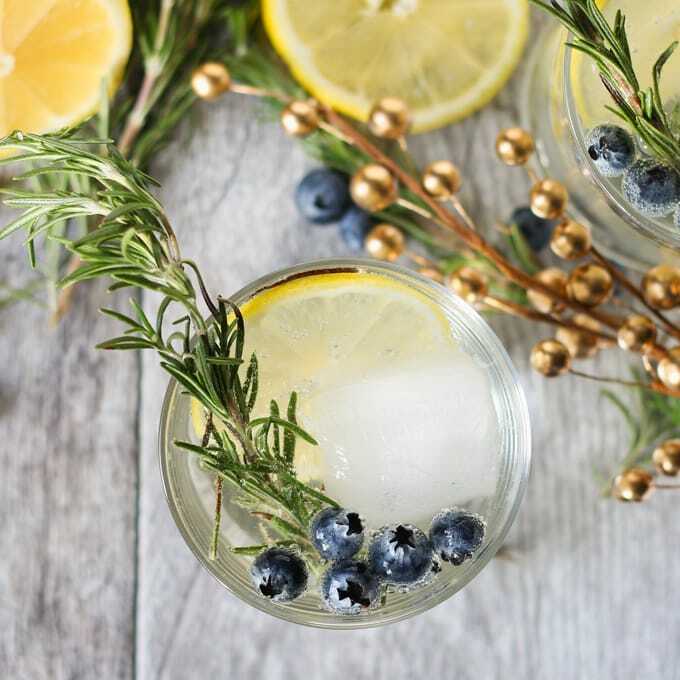 There’s nothing like a good cocktail to take thoughts of snow and winter away. Since I had all of that leftover hibiscus syrup, I decided to substitute the paloma’s sugar with it. And what a great decision that was. The neighbors were hesitant to try these cocktails because they thought their bright color meant a super fruity and sweet drink. Not the case. Instead it is lightly floral and refreshing. I can see many hibiscus paloma summer days in my future. When I make cocktails, I always like to start with a good spirit. I really want to make a joke about being happy but when I say good spirit, I mean liquor. There are several tequilas I like – some for sipping and some for making cocktails. For palomas, I usually use Don Julio or Patron. Use your favorite and you won’t regret it. Bring water to a boil over medium-high heat in a small pot. Turn off heat, add the hibiscus flowers and steep for 5 minutes. Strain out the hibiscus flowers. Return the pot to the stove and add the sugar. Heat on medium until the sugar dissolves. Remove from heat and allow to cool before using. Pour kosher salt on a small plate. 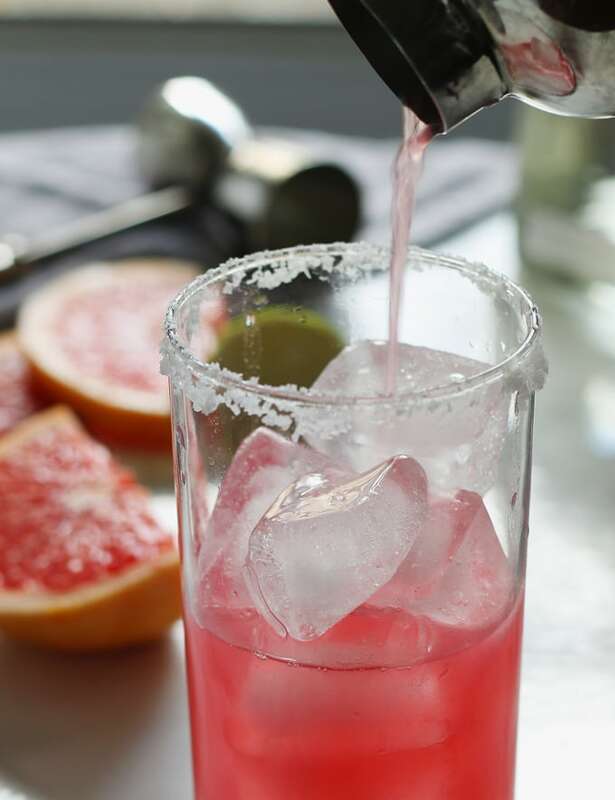 Rub the rim of a highball glass with a grapefruit or lime wedge and dip the rim of glass in salt. 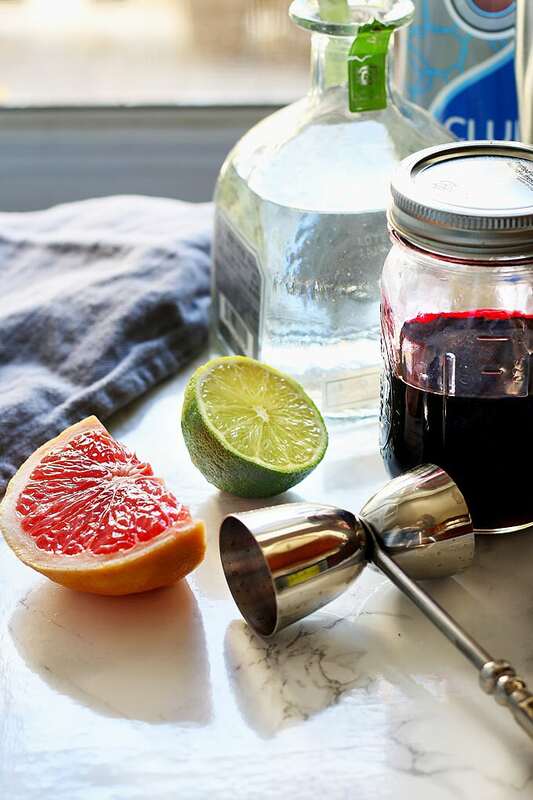 Combine grapefruit juice, lime juice, and hibiscus simple syrup in glass and stir to combine. Stir in tequila, add ice, and top off with club soda. Garnish with grapefruit wedge. Traditionally, palomas are made with Squirt or other grapefruit flavored sodas. Because of the inclusion of homemade simple syrup, which is very sweet, we went with fresh juices and soda water to make sure the drink was not overly sweet. This is such a pretty cocktail Jenny AND I love hibiscus! What a gorgeous and truly bursting-with-flavor combination! 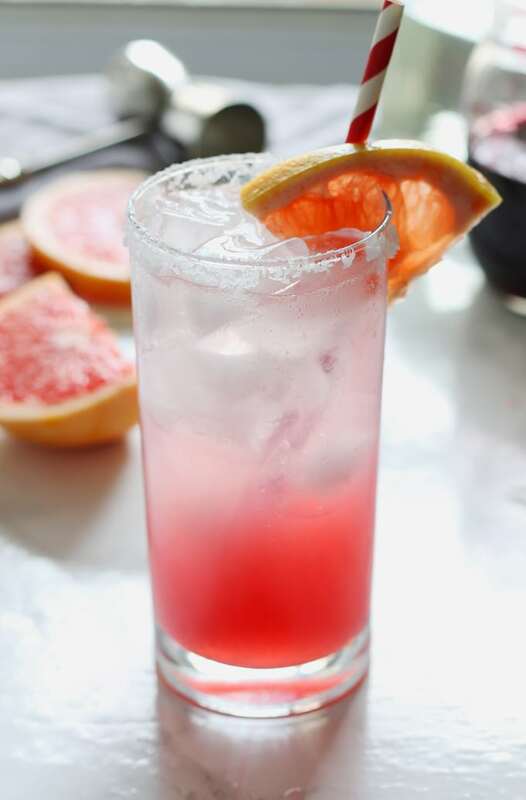 Love the sweet-tart interplay of the grapefruit and lime with the hibiscus! And wow does it look refreshing! I love Hibiscus and I just love ur gorgeous photography! Oh man…I love everything thing about this drink! Plus it is so pretty! Happy Friday! What a pretty cocktail! It will be perfect for sipping out by the pool this summer. Thanks for the heads up about the Tasty Bev site. I’m going to check it out! 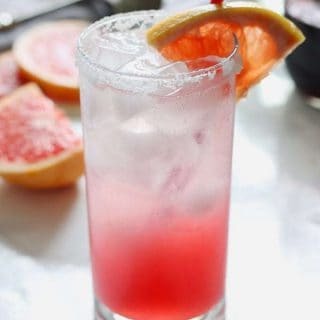 I’ll be anxious to try this, since I love grapefruit and any cocktail with lime! Visiting from The Handmade Hangout. I would love one of these! Thanks for linking up with What’s Cookin’ Wednesday! Thank you for linking up to the Tasty Tuesday linky. I have pinned your recipe to the Tasty Tuesday Pinterest board. I hope you’ll join us again this week.